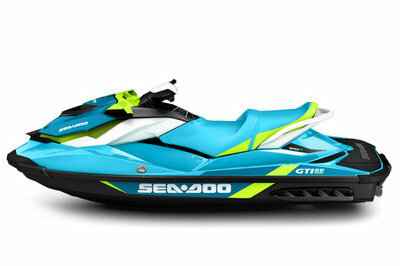 Sea-Doo has long been a familiar name among personal watercraft enthusiasts, and Bombardier Recreational Products (BRP) based in Canada keeps the name fresh with the 2015 GTI SE models. 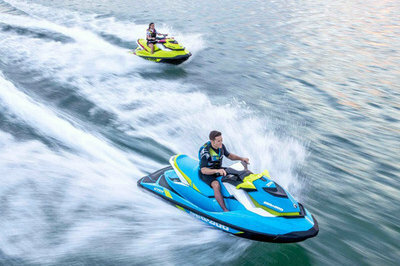 Not content to recycle design features of the past, BRP continues to push the envelope with innovative mechanical and electronic features that keeps Sea-Doo relevant and competitive in today’s family watercraft market. BRP started with a V- hull with moderate rise to provide a workable compromise between stability and wave penetration. A small wave deflector on the bow helps to shunt off greenwater before it comes aboard to soak the passengers, and not only do the spray rails on the sides throw the whitewater clear of the machine, but they also help generate lift for quick plane and serve to dig in and prevent excessive sliding in the turns. This machine can carry up to three people or 600 pounds, whichever comes first. The well-made seat, passenger grab strap and grab rails show the factory’s attention to detail and a concern for safety – after all, there are no seatbelts on Jet-skis, and you gotta have something to hang on to! The stern sports a tow ring for dragging around watertoys, and the seat allows for a rearward-facing spotter, also a safety concern. A mid-sized, non-skid coated swim platform gives riders a convenient place from which to disembark without benefit of a dock — you know, just in case the spray rails keep you too dry for your liking — and a fold-up boarding ladder helps to get you back aboard without too much fuss or strong language. Things get interesting once we get to the engine and engine management systems. Consumers are offered a choice between the 130-horsepower 1503 Rotax 4-TEC engine and the 155-horsepower NA Rotax 4-TEC engine. Both mills displace 1,494 cc and use the Closed-Loop Cooling System (CLCS) that uses an enclosed heat exchanger instead of drawing raw water into the engine water jacket. Consumers are offered a choice between the 130-horsepower 1503 Rotax 4-TEC engine and the 155-horsepower NA Rotax 4-TEC engine. This has the benefit of isolating the engine from the corrosive effects of saltwater and precludes the need to flush the cooling system at the end of the day or when moving from one body of fresh water to the next – no worries about marine hitch-hikers here! The GTI SE comes with an electronically actuated throttle that always starts the engine in neutral for ease and convenience, and has an activity-specific engine mode that allows you to choose between Touring mode, Sport mode and the fuel-sipping ECO mode. It also comes with two keys (not really a key, more like a dead-man’s lanyard), one of which is the “learner’s key” that can be set to one of five different settings that limit power output for those times that you want to let the kids or a friend drive the thing. Both keys come with an electronic signature that interfaces with the on-board computer in order to activate the systems. This is widely regarded as the safest form of security system available for PWC, and is more public-friendly than a Pit-Bull on a chain and a large-caliber handgun (my security system). Sea-Doo blessed the GTI SE with its iBR water-brake system that allows you to quickly and easily switch between forward and reverse, and the Off-Throttle Assisted Steering (OTAS) gives you some rudder authority for steering while off power. Together, these two systems make this craft rather handy in close-quarter maneuvering situations. Base price is $9,999, and it comes with a limited, one-year warranty. This price can balloon quite a bit if you get into the accessories catalog, because BRP has at least a score of goodies that will spruce up your ride – and the sticker if you aren’t careful! 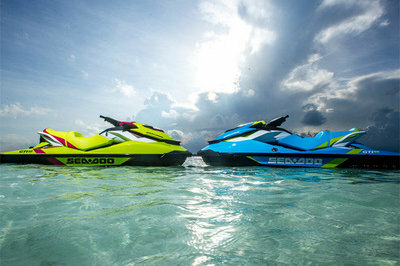 My wife and fellow writer, Allyn Hinton, says," Sea-Doo’s GTI PWC is larger than their Spark model and gives you a more stable ride with room for up to three bodies. Combine the significant 30.8 gallons of storage with what Sea-Doo boasts as best-in-class fuel economy and you and your favorite companions can carry everything you need to spend all day having fun in the sun." 1503, 1503 NA Rotax® 4-TEC® Engine, four-stroke with four valves per cylinder. Provides Reliable Performance In Fresh Or Salt Water, Increased Torque At Low RPM, Optimized Power At All RPM Levels And Throttle Positions. 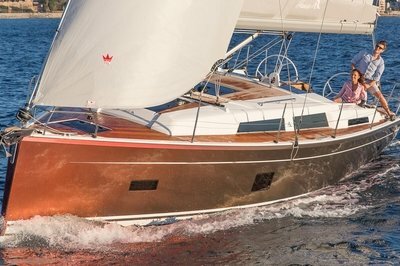 Operating Electronically, This Advanced Throttle System Starts You In Neutral For Easier Dockside Starts. It Also Features An Activity-Specific Touring, Sport And ECO™ Modes That Can All Be Set To Accommodate Your Riding Style. The Result Is A More Responsive, More Intuitive Ride. Reports 23 Key Operating Functions: Fuel Level, Tachometer, Speedometer, Touring Mode / Sport Mode, ECO Mode, Hour Meter, Compass, F-N-R Indicator And More. Allows For Quick Starts And Added Security. Now With Radio Frequency Technology And A New Ball-And-Socket Design, The Digitally Encoded Security System Provides Riders With Easy And Quick Starts Every Time. Swim Platform Carpets With Sea-Doo Logo.